Environmental Industry Expert Joins Maul Foster & Alongi, Inc.
MFA is pleased to announce the arrival of Tom McCue as a Principal Environmental Analyst in our Portland, Oregon office. 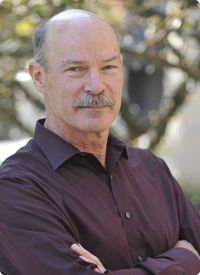 Mr. McCue brings over 30 years of experience in the environmental compliance and remediation industry. Mr. McCue most recently served as Restoration Manager for the Siltronic Corporation facility in Portland, where his responsibilities included managing the investigation and cleanup of legacy environmental impacts and associated liability management. As Environmental Manager, Mr. McCue and his colleagues developed and implemented environmental compliance and sustainability programs that resulted in 38 awards and multiple letters of recognition for the company. Mr. McCue will provide expert-level support in the areas of environmental compliance, sustainability, program management, and allocation strategy development. We look forward to the application of his deep experience in the Portland industrial market.